Fashion designer Alexander Wang has revealed a new campaign for his collection of T-shirts and hoodies with the words "Do Something" written on them. Do Something is a non-profit that hopes to motivate young people toward social change and the sales will benefit that. The campaign consists of simple black & white photos taken by photographer Steven Klein. It features several musicians, including Grimes, HAIM, Lykke Li, Kanye West, Alice Glass, The Weeknd, The Kills' Alison Mosshart, AlunaGeorge's Aluna Francis, The Gossip's Beth Ditto, A$AP Rocky, Rod Stewart, and others, as well as some models. Above is the Grimes photo. Below are the photos of HAIM and Lykke Li. 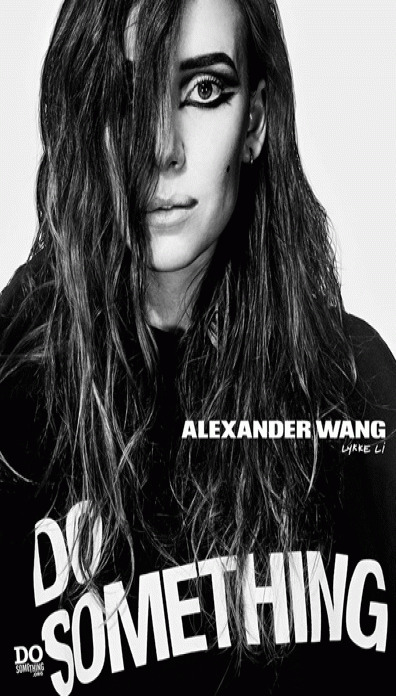 Check out the full gallery of photos over at Alexander Wang's Facebook page.